Asus is preparing the Zenfone 5 lineup of smartphones to launch at the MWC 2018 scheduled to happen later this month. 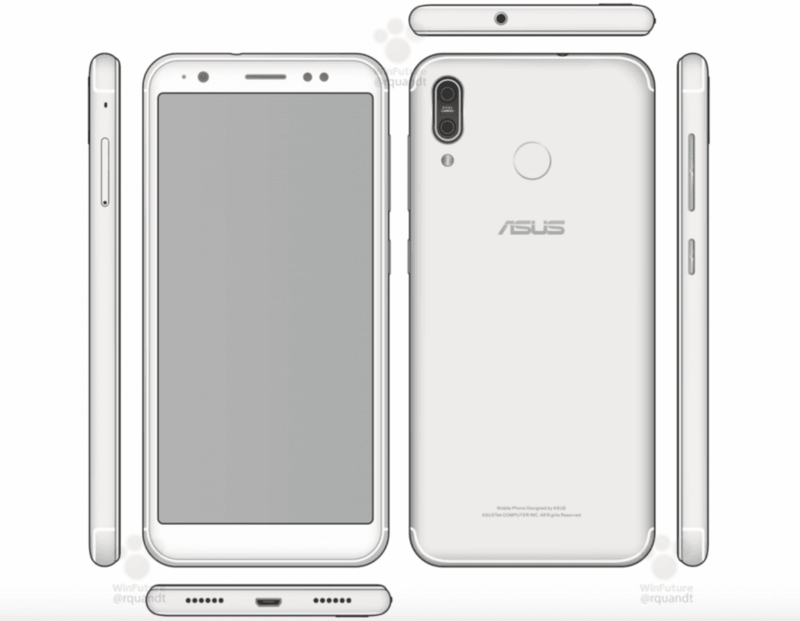 Ahead of the official launch, a Zenfone 5 variant with model number ASUS X00PD has surfaced online, courtesy of a manual leak. The leaked manual also have a few images of the upcoming smartphone, which revealed the design and port placements. The Zenfone 4 will feature a dual camera setup at the back, 18:9 display on the front, micro USB port (in 2018), and a rear-mounted fingerprint scanner. Talking about the design, there are not many changes when compared to some older metal-clad Asus smartphones. The phone has rounded corners, and the antenna lines are present on top and bottom of the rear. At the back, we have the vertically positioned dual rear cameras like the Apple iPhone X, and below the module, there’s an LED flash. The Asus branding and fingerprint scanner are present at the center of the rear. At the bottom of the phone, there’s a micro USB port, placed in between two speaker grilles. At the top, there’s a 3.5mm headphone jack too. Yes, Asus is not yet looking to kill the 3.5mm headphone jack. At the front of the phone, there’s a 5.7-inch display, but sadly the resolution of the display is not present in the manual though. But going by the earlier Geekbench listing, the Zenfone 5 X00PD will be powered by the octa-core Snapdragon 430 chipset and 3GB of RAM. The highlight of that benchmark report was the Android 8.0 Oreo. Asus might release all the Zenfone 5 models with Android 8.0 Oreo out of the box. That said, this could be the entry-level Zenfone 5 model. Rumours suggest that there will be three Zenfone 5 models launching at the MWC 2018 and this phone may be called as Zenfone 5 Lite. It’s unknown which chipsets will the other two Zenfone models use, but surely, they will be Qualcomm Snapdragon chipsets itself as revealed by the company’s MWC 2018 event invite. Snapdragon 430 ? Next what, Snapdragon 625 ? 3.5 mm HeadPhone Jack shouldn’t be removed. Why is everyone against it? I disagree with Admin to Kill it.